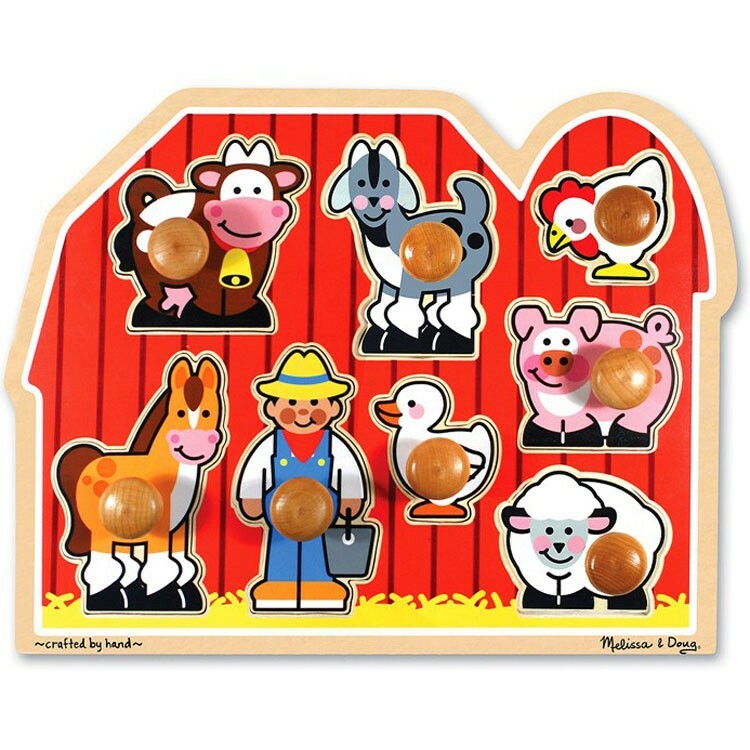 This Melissa & Doug's large farm toddler puzzle is just perfect for the little hands with its 8 quality wooden pieces, each with the large wooden knob. 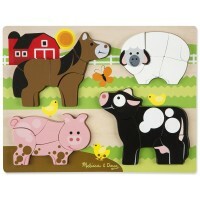 Old McDonald had a farm! 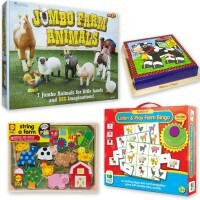 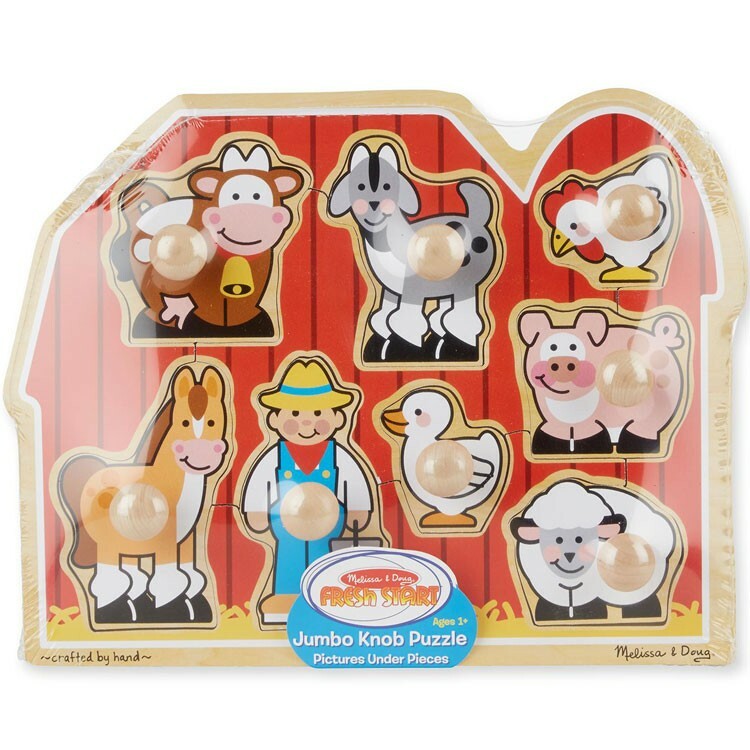 All babies and toddlers will enjoy singing the nursery rhyme and playing with the cute farm animals from Large Farm Jumbo Knob Puzzle by Melissa & Doug. 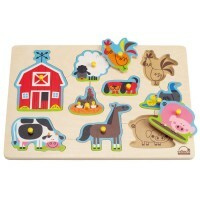 A cow, a goat, a hen, a pig, a duck, a sheep, a horse, and a farmer who takes care of this wooden farm, are ready to play with your toddler. 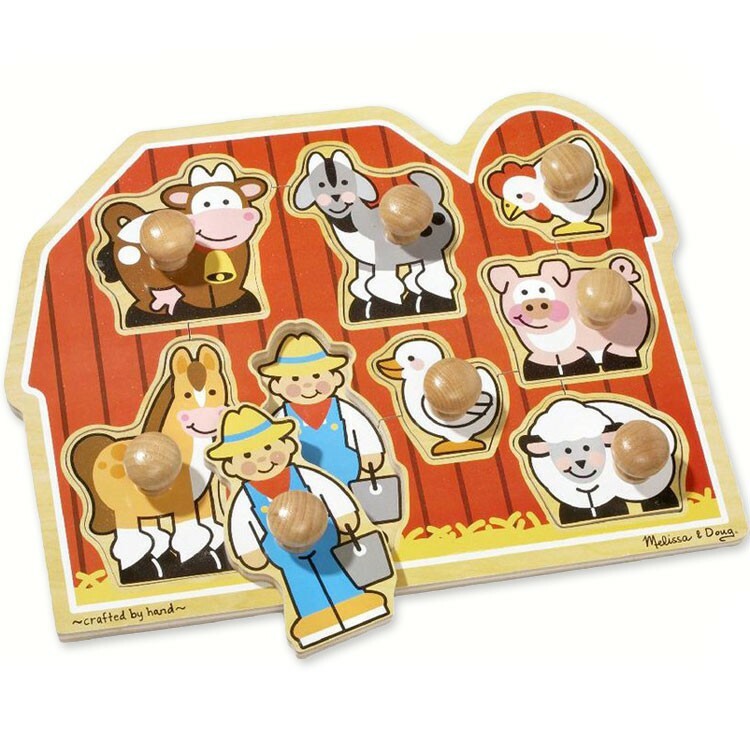 This toddler puzzle is just perfect for the little hands with its 8 quality wooden pieces, each with the large wooden knob. 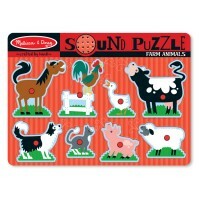 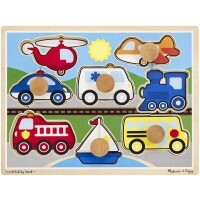 The puzzle board looks like a bright red barn with farm animals smiling at your child. 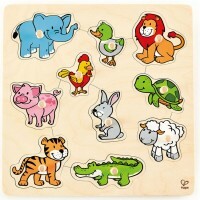 Your toddler will not be lost finding the right spot for each of the barn friends, because there is a kids friendly picture of the same animal under each piece. 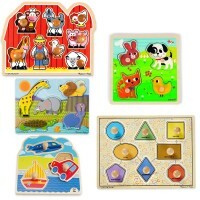 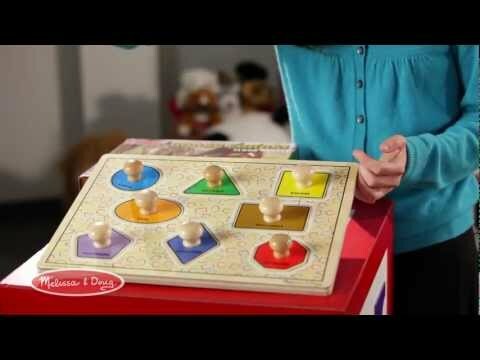 This Educational Toys Planet's first puzzle is a great toddler toy engaging your toddler into puzzle fun and developing small motor and thinking skills. Large Farm Jumbo Knob Puzzle meets all U.S. toy safety standards. 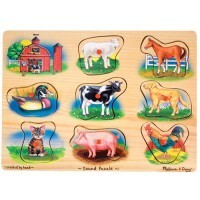 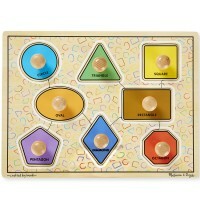 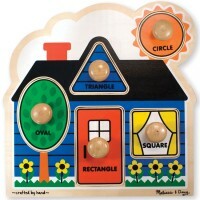 Dimensions of package 12" x 1.3" x 1.3"
Write your own review of Large Farm Jumbo Knob Puzzle.